This entry was posted in Techie Kids and tagged Blog Buddies, Poll, Seasons, student blogging challenge, Video by Mrs. Moore. Bookmark the permalink. We got some snow here in north Texas this year, but in winter it’s usually more ice or frozen rain. We also had some snow here in Michigan. Also lots of puddles and ice! One time, it was like a blizzard out and the next day there were piles of snow. Me and my friends went out in it. Man, was it cold! Did you ever do something similar to that? Also, I’ve always wanted to visit Texas! I hope one day I can. Where have you visited or want to visit? 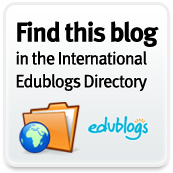 One last question, are you in the Student Blogging Challenge? We are! Thanks for visiting our blog! It is pouring rain here in central South Carolina and is supposed to do that through Wednesday. Yuck! Thank you for visiting and commenting on our blog. It is really wet here. It rained and snowed and made a lot of slush. Hope you get some warm, sunny weather instead of raining down pour. I’m from Hungary, Europe. We have a four season weather, although this winter was exceptionally warm. There were only about 2 weeks when snow covered everything, other than that it was just about 5-8°C below freezing point (we use the Celsius scale). Summers are quite hot, with heavy downpours and thunderstorms occuring every week – I love those! Sometimes chunks of ice fall down from the sky, the size of a walnut – still during summer! Plants just started to turn into green – spring is already here! Thanks for sending us a message! We can’t believe you are commenting from Hungary, Europe! We had to look on the globe to find where your country is. You are half way around the world from us, all the way across the Atlantic Ocean. We also have 4 seasons of weather. Alex’s favorite season is spring because it is not too hot or too cold. Alyssa’s is autumn because she love the leaves. What is your favorite season? We all wish we had the summer weather you described. However, right now, it is often below freezing. We would love to have warm weather here in Michigan and can’t wait for summer to come. 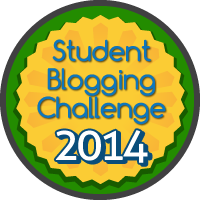 We were wondering if you are participating in the student blogging challenge? We also wanted to know if you have your own blog? there is something I love about every season, but if I had to pick one, it would be summer. I love spending time in nature, and summer camp is my favourite place. Last year I had the pleasure of being a camp counselor in California, so I had to say goodbye to the downpours and hails, but still it was an amazing experience. I did write a blog about that, but in my native Hungarian language (which is considered one of the most difficult languages to learn.) Other than that, I don’t have a blog. I’m interested in youth development and education. I keep up with what’s new via Twitter, that is how I found your blog. I haven’t looked up details about this Challenge. What makes it so exciting to you? Have you had to face some difficulties? I would love to hear about what projects you are doing associated with the Challenge! Hi! I saw the Edmodo post! Most of my students have never seen snow, although I used to live in Michigan! My students live in Florida where is was 82 degrees today! Students at my school wear school uniforms which include a polo shirt and shorts. Most do not have heavy coats. They want to know what it is like to have a “snow day” instead of school! We are Meghan and Athena and we are in 5th grade. We saw your comment and you asked what it’s like to have a snow day. Well, it’s like having a surprise day when you thought you were going to school, but woke up and found out you were staying home! On a snow day, we like to go outside and build snowmen and forts and have a snowball fight. We have a snow day when it’s far below zero or if there is also a lot of snow or it’s too icy to travel safely. We would like to know what it is like at your school. So far our school had 11 snow days! Who knows, more snow might come to Michigan. A few days ago we had a snow storm. I know it’s warmer in Tennessee but have you had any snow days this year? Hello! I found you on Edmodo. I’m a high school biology teacher in Texas (north of Dallas). I don’t blog with my students, but this is a great idea! You’re asking about the weather- this is the coldest winter we’ve had in awhile! We had three snow days (two with real snow instead of just ice, and we got to go sledding). We usually get a light dusting of snow each year in this part of Texas. Our kids always look forward to it! I can’t say that the adults feel the same way (except for me). I look forward to reading and learning more about your students and your school. Thanks for sharing! We have had 11 snow days up here in Michigan. Our coldest day was -27*. You should start blogging with your students because it is super fun and it’s a good way to get out there online. If you don’t know, we are in the Student Blogging Challenge and it’s our first year doing this. It’s super fun! Maybe you should try it one year. Thanks for visiting our blog and helping us learn! Yeah, it is awfully cold here too. I think it was somewhere around 5 degrees when we were coming to school this morning. It’s especially cold with the wind. Here we have like, 5 inches of snow on the ground maybe. It sounds like our weather is similar. Thank you for leaving us a message! It is snowing in D.C. Right now! Here in western Iowa it has been colder than normal and our windchills have been much lower than usual. We have only had one day off from school and it was for gusty winds and a windchill way below zero. We got out early one morning for an incoming snow storm. Those have been our only two days off this winter due to weather. The largest snowfall we have had in one storm was 4 inches. This has been one of our lowest total snowfall winters. We live in Michigan and it has also been freezing here. Our coldest day has been -27 degrees! We have had so many snow days we have to make them up in the summer. We belive this is going to be our biggest snow fall winter. We got 8-16 inches during the last storm, which was our biggest snowfall. Are you having enough of winter? Thank you for coming to the Techie Kids! Hello Mrs. Moore and Techie Kids! We got your message on our blog. It was great of you to come and visit. We would love to Kahoot with you about some fractions! We have made some fraction quizzes and we can play them together with you. All you need is the student log in site and a code that generates for the game to play with us. Let us know when you are available and we would love to set up a common time to play and practice! Here is my email for Mrs. Moore. Hi! We are Meghan and Kenedy and we saw your comment! We think it would be really fun to go into “Kahoots” with you! Plus, we could use the extra practice.